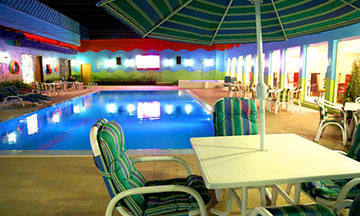 AFOHS club features sauna/ steam rooms and outdoor swimming pool to cater a wide range of interests. The turquoise surface with shimmering ripples in the sun is the perfect place for a quick dip to experience instant relief from the sweltering heat or a swim at leisure in the warm waters during winter. AFOHS club offers a sufficient number of Change Rooms, showers as well as Lockers. The filtration and chlorination systems are of the highest standards, assuring members of a clean and safe pool for themselves and their families. 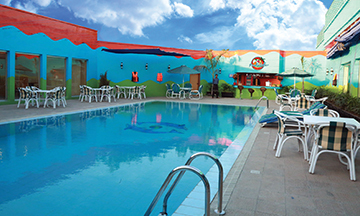 Safety at the Swimming Pools is also of great concern to the Management of the Club for which professionally trained Life Guards and Coaches are always on the poolside. First aid equipment is also readily available. 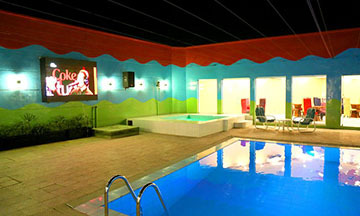 Our large sized swimming pool is covered and has sufficient ventilation. 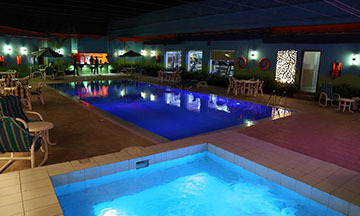 A poolside snack bar/cafe provides refreshments for swimmers at poolside. Our Sauna/steam room is certainly an ideal place to unwind and set aside your worries. After a long day of hectic professional or personal activities spending a while here is a treat for your body.